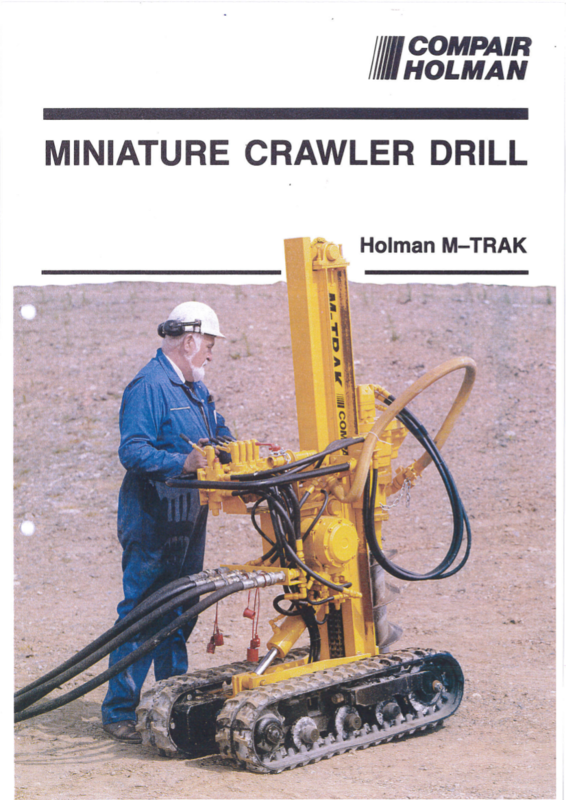 The Compair Holman M Trak Drilling Rig is an extremely compact drilling and augering rig weighing just 1.9 tonnes. 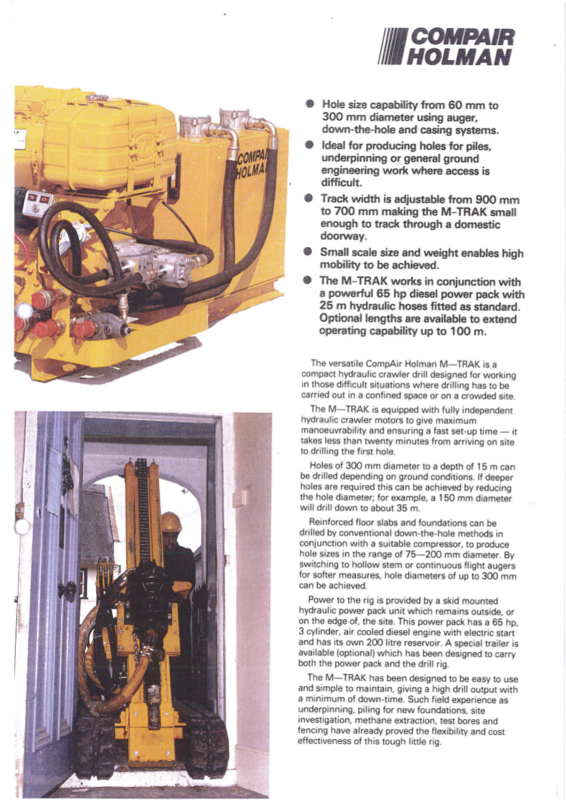 Its compact crawler size and optional umbilical hoses mean that this versatile rig is perfect for use on restricted sites and inside buildings. 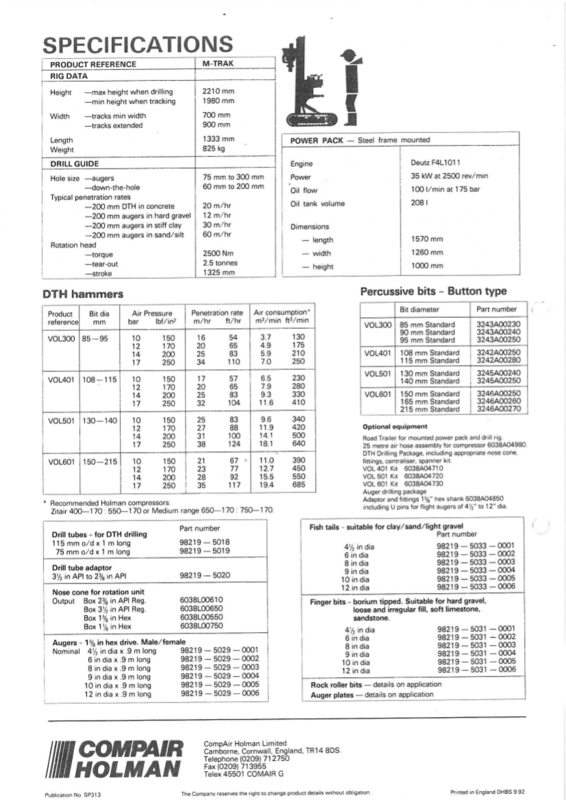 Rotary Auger Flights up to a maximum diameter of 220mm for Rotary Bored Piling. 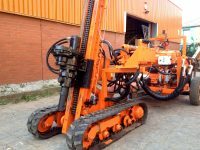 Hollowstem Auger Flights up to a maximum diameter of 220mm for CFA Continuous Flight Auger piling. 2” through head for use with grout pumps when CFA Continuous Flight Auger piling. 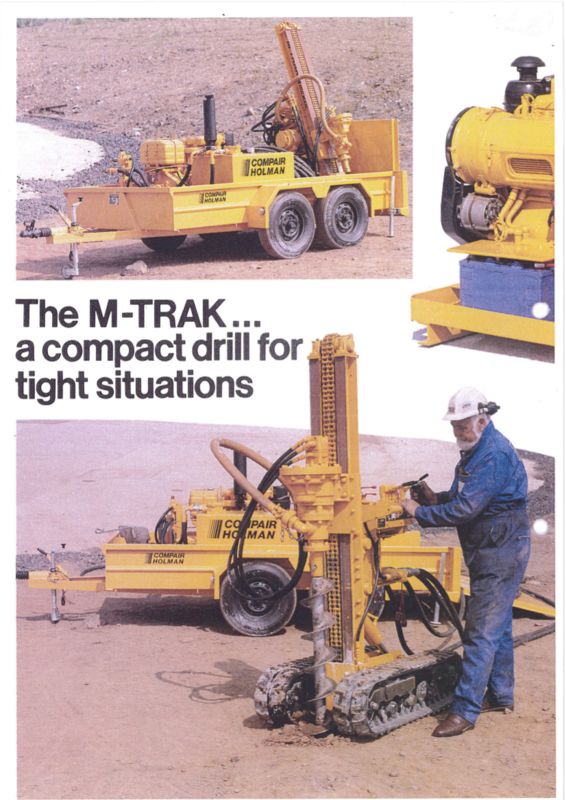 We can supply the M Trak Drilling Rig and any required accessories at extremely competitive hire rates throughout the UK.